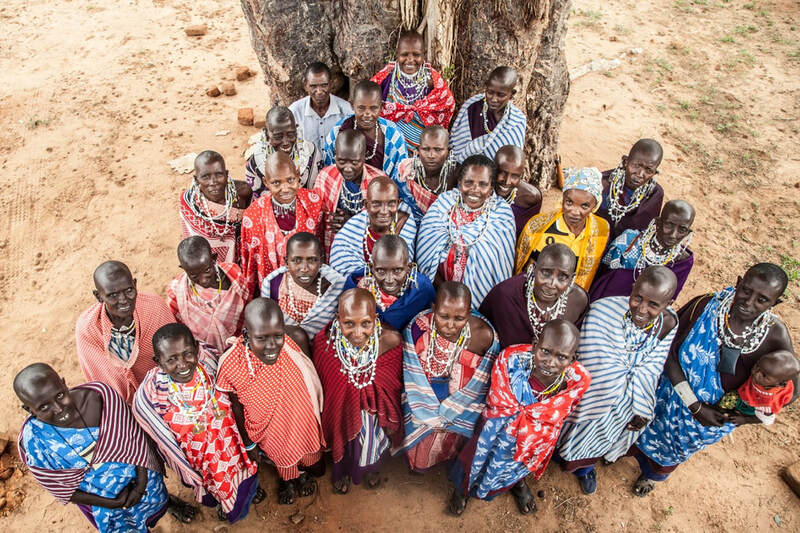 Northern Tanzania’s iconic savannah landscapes, home to some of the greatest cultural and biological diversity found anywhere in the world, encapsulate many of the challenges and opportunities facing community land rights in Africa. In contrast to most African countries, Tanzania’s landmark 1999 land reforms provide full legal recognition of customary land rights, which are administered through elected village councils. Roughly 70% of the country consists of legally recognized village lands under the authority of these local councils. This makes Tanzania a rare African bright spot in a regional context where perhaps 80% of all land is customarily claimed and used, but very little of that is legally secured by those communities. At the same time, Tanzania has long illustrated the challenges communities face in exercising their rights even when they are nominally granted under the law. Conflicts around land use, access, and tenure remain prevalent, particularly as land values rise as a result of commercial agriculture, wildlife tourism, and expanding urban areas. Northern Tanzania has been a particular locus of conflict between pastoralist communities and the region’s large protected areas established for wildlife conservation, which historically have displaced and marginalized local people. It is within this context that the Ujamaa Community Resource Team (UCRT) emerged 20 years ago as a grassroots organization, arising from a number of flashpoints of conflict and opportunity in northern Tanzania where community land rights, wildlife conservation, and sustainable local livelihoods were all intertwined. UCRT has evolved since then from a small grassroots organization with one beat-up Land Rover and an office with a dirt floor, to a group working with nearly 100 communities across eight districts in Tanzania, and a staff of over 40. UCRT’s work revolves around helping local pastoralist and hunter-gatherer communities to secure, manage, and benefit from their land. This had led to an increasing focus over the years on using various legal and technical mapping tools to secure stronger rights and formal tenure. In total, UCRT has helped 38 communities across 620,000 hectares of northern Tanzania obtain a form of legal title known as CCROs, and had developed land use plans for over one million hectares of communal land. In 2016, UCRT’s achievements were recognized with the awarding of a Goldman Environmental Prize for Africa to one of UCRT’s long-time leaders, Edward Loure. But UCRT’s growth and achievements over the past decade also highlights the importance of local activists being willing to invest in building the organizations, relationships, and resources that can take their work to a greater scale of reach and impact. This kind of growth requires new- and sometimes uncomfortable- partnerships, stepping out beyond the local context to national and global arenas, and investing in organizational change, including at the leadership and board levels. It also illustrates the importance of the right kind of external support- financial, technical, and organizational- for local groups working under challenging circumstances to bring about change. UCRT’s story is instructive for other grassroots activists in terms of the struggle to balance local roots and values with the realities of managing increasingly complex organizations that can achieve greater impact. It also highlights the importance of thinking through- and improving- external support models, particularly from funders and international NGOs investing in indigenous and local land rights in Africa. Achieving lasting change on a meaningful scale almost always requires strong partnerships and collaborations, and these have played a foundational role in UCRT’s evolution. UCRT was originally created in partnership with The Dorobo Fund, a US-based charity that was established to assist Tanzanian indigenous communities to better manage and conserve their lands and resources. Having this US-based fundraising partner has been critical to UCRT’s ability to attract resources to fund its work, particularly during its formative development. A similar relationship developed early on with African Initiatives, a UK-based charity that funds African social justice and development organizations, and has been a key supporter of UCRT’s. This partnership has enabled significant access to funding from UK development aid and other sources over the years. For the past seven years UCRT has been working with Maliasili, a US-based organization that supports African conservation and natural resource organizations to help them improve their organizational performance and impact. This long-term support has played an important role in helping UCRT to drive and manage its growth during the past decade, as the organization’s budget has tripled and fieldwork has rapidly expanded due to local demand. Continually refining strategies for impact. UCRT’s approaches in the field have continued to evolve as a result of learning from experience. This was represented by a strategic shift from investing primarily in land use plans during UCRT’s first decade, to a subsequent emphasis on CCROs as a stronger legal foundation for community land tenure. UCRT is now shifting further under a new strategic plan that will increase the focus on healthy rangelands that deliver community benefits from improved management. New investments in management. One of the challenges that faces small organizations as they grow is the impetus to constantly do more, and devote new resources to field work, without adequately investing in the organizational systems that can support that growth. Key changes for UCRT during the past five years have been progressively investing more in administrative and program management functions, including the requisite staff that can support an expanding portfolio of programs. This also allows other staff whose strengths lie in fieldwork, to spend most of their time doing what they do well. Communicating. One of the reasons that effective grassroots organizations working in places like rural Tanzania stay small is that external funders that might support them have never heard about them or their work. In recent years, working closely with Maliasili, UCRT has embraced the importance of communications, including presenting its work in annual reports, newsletters, and other media that can help it reach the wider world and global networks interested in land rights, social justice, and environmental conservation. Diverse Collaborations. Core to UCRT’s operations and culture is the value of collaborations with diverse interests and actors that can bring complementary skills and resources to UCRT’s mission. At home in Tanzania, this means playing a leadership role within networks such as the Tanzania Land Alliance, Tanzania Natural Resource Forum, and Pastoralist Indigenous NGO’s Forum, as key national and regional organizations that facilitate collective action. UCRT has also been a key part of a collaboration of international conservation groups and local organizations through the Northern Tanzania Rangelands Initiative, which includes long-time UCRT partners including Dorobo Fund, The Nature Conservancy, and Wildlife Conservation Society. UCRT also sits on the Africa Council of the International Land Coalition and has a wide range of international partners in the human rights field. These diverse relationships, when managed effectively, can help draw important connections between the grassroots and the global arena, drawing support, ideas, and connections. Managing growth for grassroots organizations in Africa and other emerging economies is always challenging. The cultural norms and expectations of bridging rural communities and international funding agencies requires a complex set of skills in relationship management, communications, and a relentless focus on mission. But by building off of founding ideas and values, and carefully investing in organizational growth and change, local organizations can increase their impact while staying true to who they are. Fred Nelson is Executive Director of Maliasili. Makko Sinandei is Executive Director of Ujamaa Community Resource Team.